So, I've been trying to get my crap together (as you all pretty much know) and I figured I should get my blog back up and running properly to help aid my recovery. My new schedule is made up (click here if you'd like to read my bloggy plans.) There are some changes and some things the same. Mondays are the same and I've got the perfect way to bring back my Mention Mondays. 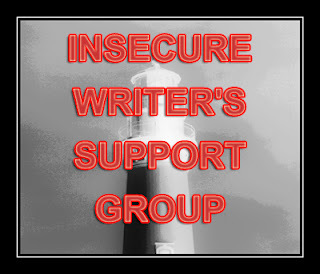 As most of my followers are Insecure Writer's Support Group members, this isn't news, but I have to mention the IWSG website and Facebook for my first step back into blogging (more often). If it weren't for Alex and all the other wonderful writers from the IWSG, I probably would've let my blog go. If I let my blog go completely, it'd be gone. Without my blog, my motivation would be lost. And without any sort of motivation, I'd be lost. I'm going to be better at showing how much I truly appreciate you all who come by to see me. Because I honestly do appreciate every comment. So, if you don't know anything about it check the links below. It's worth your time, promise. It is a great group to belong to! Kela, if the only thing the group ever accomplished was keeping you motivated, then that would've been enough. So glad you haven't given up on your blog or writing. We won't let you! !